The fastest times of The Half 2018 were set on gravel bikes by Bennie Viljoen (left) & Jaco Davel (right). The pair sprinted for honours on the line with Viljoen besting Davel to complete the 180km course in a time of 6 hours, 53 minutes and 57 seconds. Photo by Sage Lee Voges/www.zcmc.co.za. 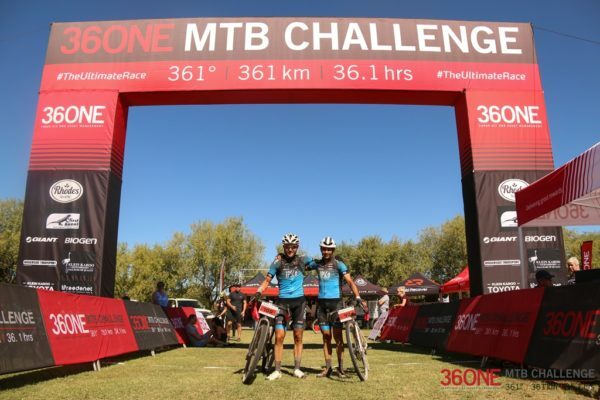 General entries to The 36ONE MTB Challenge 2019, which will take place from the 17thto the 19thof May next year, will open at 12:00 midday on Friday the 1stof June. Following the release of 100 Full 36ONE entries being made available in late April and throughout May, the opening of general entries allows riders who wish to take part in the Team, Relay, The Half and The Half Gravel to secure their places in the ultimate race. To assist the riders who spend all of Saturday out on the roads of the Klein Karoo The 36ONE has been moved a month later in 2019, from April to mid-May. This should ensure that the day-time temperatures are milder, though it does come at the cost of lower over-night temperatures – which are concerns which overshoes, First Ascent base-layers and wind-breakers can easily remedy. For riders taking on the full 361 kilometre distance in teams or solo the advantage of entering early lies in the commitment the race demands to each riders’ training. Entering early ensures ample time to train physically, prepare mentally and develop nutritional strategies to ensure the challenge is a manageable, and even an enjoyable, one. While the main focus remains the solo riders taking on the complete route The 36ONE will also feature Relay and Half distance events next year. The Relay provides riders the chance to ride in squads of two to four riders and alternate the legs of the race they cycle. 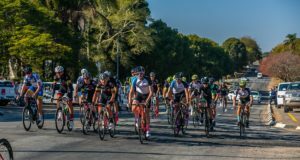 The most well-established format is for two riders to take on the challenge, with one cycling legs one and three while the other races legs two and four. The Half, which starts at Volmoed – also the location of check point two – on Saturday morning, sees riders take on the second half of The 36ONE route. It challenges riders to complete 180 kilometres with 2 730 meters of elevation gain, including the infamous Rooiberg Pass and the brutally steep climbs of the Kruisrivier Road. 2018 saw the late introduction of a gravel bike category in The Half and in 2019 the race organisers expect the category to grow. 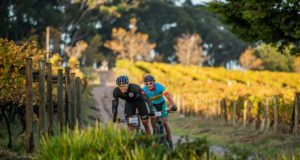 “Events like Tour de Braai and the Swarberg100 have shown that gravel biking is becoming increasingly popular in South Africa” said Henco Rademeyer, co-founder of Dryland Event Management. “The gravel bike category in The Half at The 36ONE provides one of the biggest tests of a rider’s grit and determination. Less than 10% of that section of the route is on tar and there are a few quite corrugated stretches of gravel road too. Throw in the Rooiberg Pass descent, without suspension, and you have a very challenging ride. Anyone who finishes The Half on a gravel bike is seriously tough” he concluded. General entries open at 12-midday on Friday the 1stof June 2018 and to secure an entry to The 36ONE MTB Challenge 2019 please visit www.the36one.co.za.